Daily Slideshow: Christmas is less than two weeks away and if you haven't started shopping yet and fear malls at this time of the year, we've got you covered! Santa's elves have been busy this year at the official Mercedes-Benz Shop. 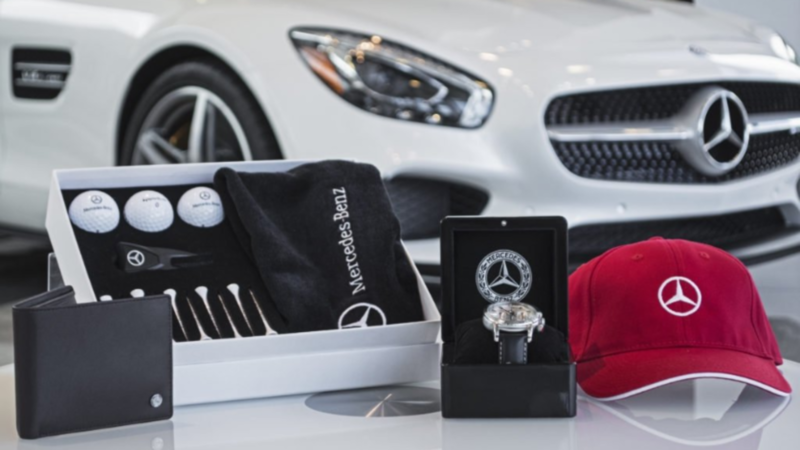 If you need to do some quick shopping, this online retailer offers Mercedes-Benz branded gifts for any budget and sensibility. But if you don't find what you are looking for there, you don't have to run out and brave the shopping storms at the mall. There are plenty of other sites that offer some great options for that Mercedes-Benz enthusiast in your life. Just click through to find some great ideas. 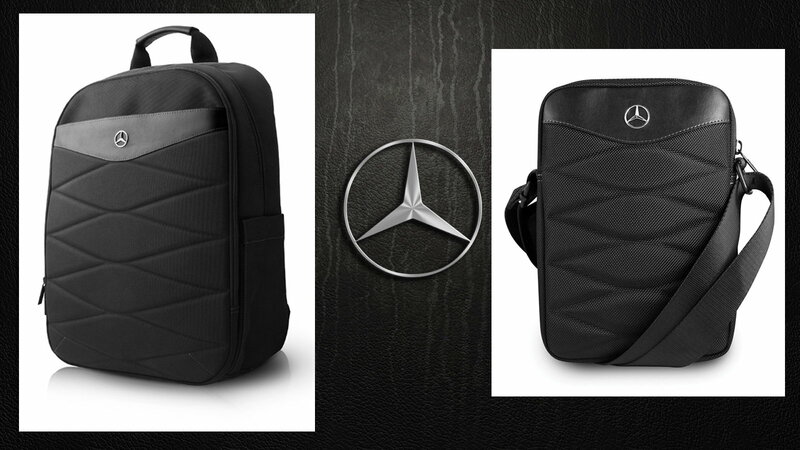 New arrivals at the Mercedez-Benz shop includes this sleek, black computer bag that offers ample space for all your necessities. It's made of nylon and polyurethane leather and branded with the M-B star on the front. It fits laptops up to 15 inches, and the price is pretty reasonable, too. The shop also offers similarly styled computer sleeves, messenger bags, carry bags, and even a smaller tablet bag. Click here for more information on this gift. >>What other gifts do you recommend for the Mercedes-Benz enthusiast in your life? 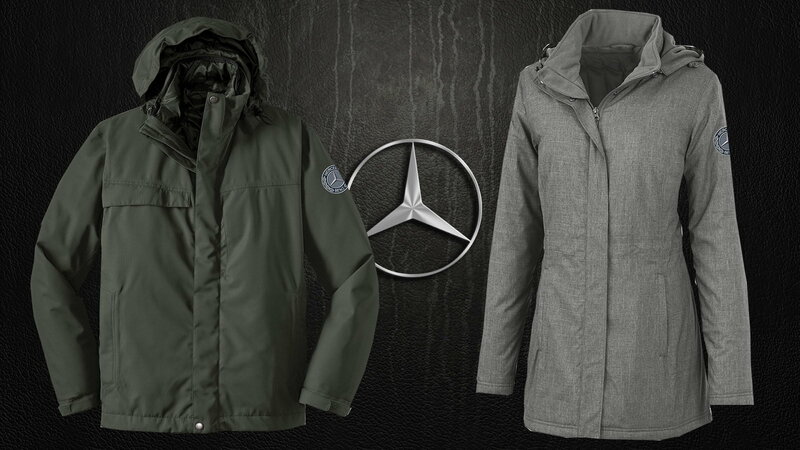 These two parkas offer warmth and style and could easily be your go-to jacket when the going gets cold. Hers is a full-zip jacket with a 2-way zipper and storm flap, and a zip-off fleece lined hood, wind and water-resistant, and weather rated to -9°F. His is a 3-in-1 parka with a waterproof shell and quilted inner jacket that combine to offer unmatched warmth. This one is also full-zip with a storm flap and will keep you warm down to -9°F. Anything colder and you and your loved one will have to come up with another way to keep warm. Click here to see more information on his jacket. Click here to see more information on her jacket. 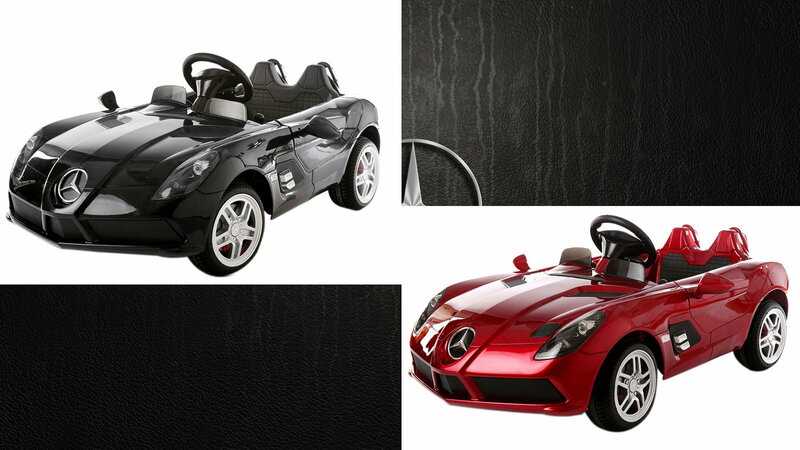 The Mercedes-Benz SLR Mclaren electric ride-on will thrill your little ones and give them hours of imaginative play in their very own SLR vehicle. Click here to find more information on these cool ride-on vehicles. 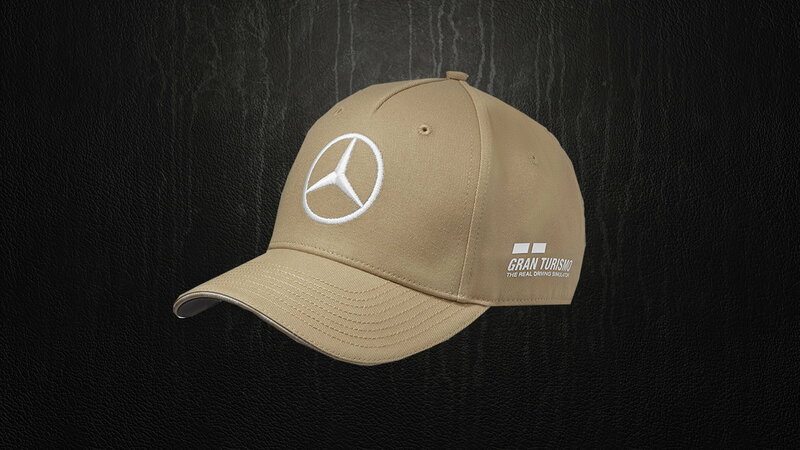 This Lewis Hamilton cap is a special edition cap of the 2018 USA Grand Prix. Click here to find more information on this cap. If your enthusiast is into model cars, the M-B shop has plenty of those, too, in all different sizes and price points. 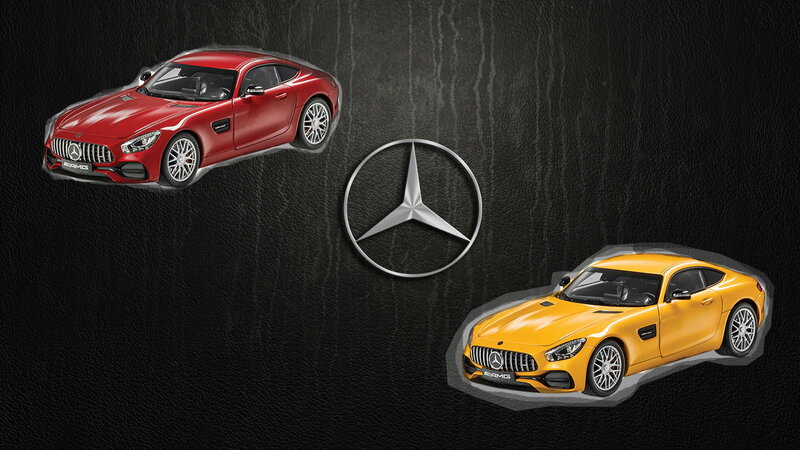 You can get a 1:18 Mercedes-AMG GT as shown above for $125 or you can get a 1:43 E-Class coupe for $43, or you can find almost anything else in between, from the G-Wagon to the GT3, the Daimler Motor Carriage of 1886 to the 1956-1967 L 319 Van. If it was made by Mercedes-Benz, chances are you will find it here. Click here to get more information on these any many other model cars. 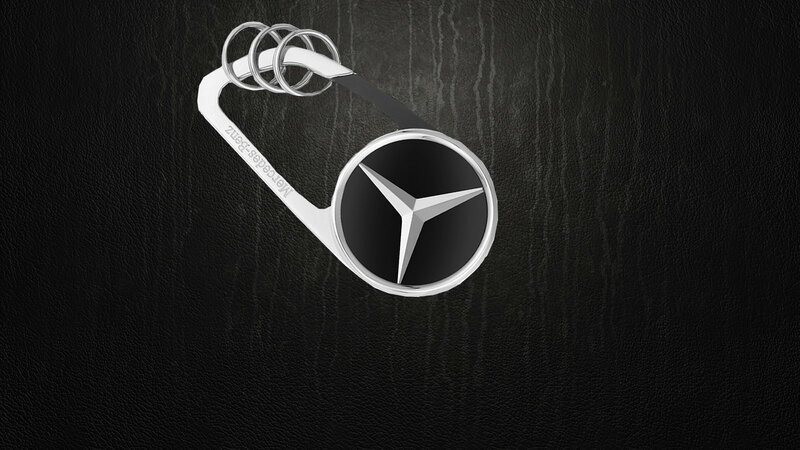 Another gift idea that is not in short supply at the Mercedes Benz Shop are key rings, all sorts of key rings. From a stainless steel snap hook key ring for $44 to AMG Carbon Fiber ring for $82, you will find something that fits the personality of your enthusiasts. They also offer the M-B star, plushy, and Wood pen and ring set, nylon and leather tassel rings. Carabiner key rings and even leather key fob covers. Why am I listing them? Just go take a look. Click here for more information on this key ring and others. 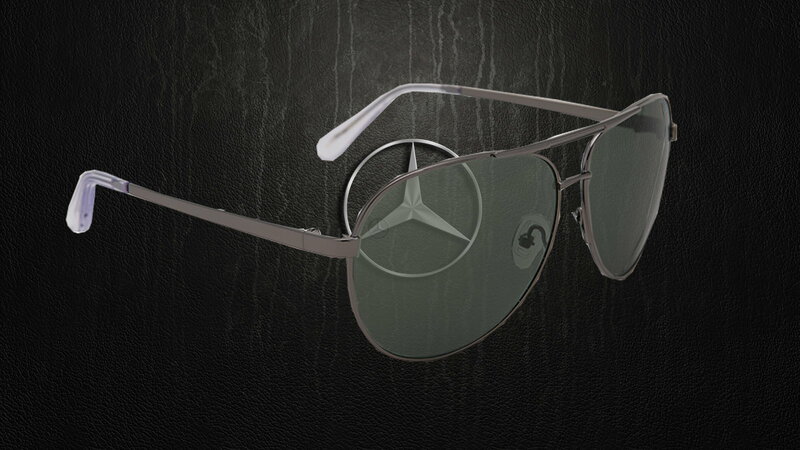 A classic silhouette with a gunmetal frame and black lenses, these Mercedes-Benz aviators will pair perfectly with any ensemble. Click here for more information on these sunglasses and others. 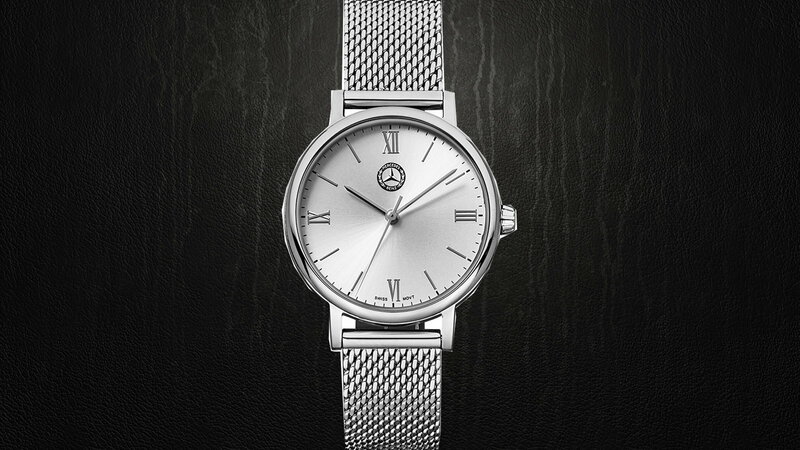 Classic and elegant, this watch is a gorgeous accessory for any outfit and timeless addition to any timepiece collection. Click here for more information on this watch. 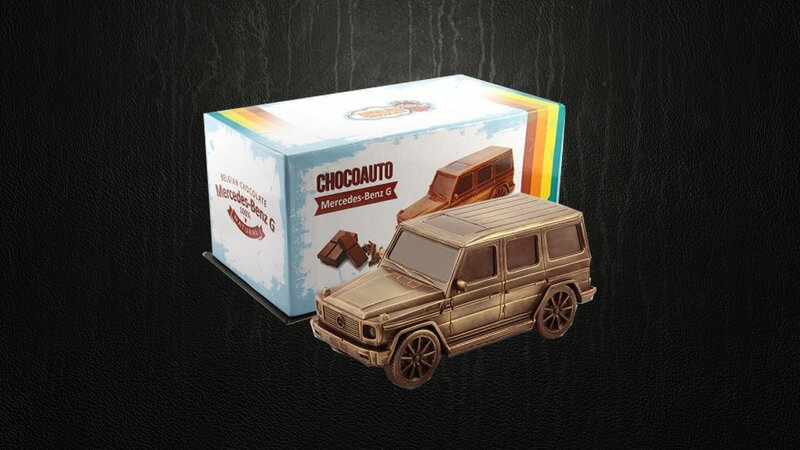 Mercedes Benz G-CLASS is a model with almost 40 years tradition. This person-terrain car is the dream of many admirers of four wheels. You can now have it in a delicious chocolate dessert edition. On request, they can prepare this model with a different kind of chocolate. Click here for more information on this and other delicious and chocolatey gifts. This 16 oz. tumbler offers the best of both worlds with a superb design of wood grain and stainless steel. Rubber-rimmed lid seals tight and sip hole closes with a twist. This is for the Brown Wood Grain look Tumbler Only. The Grey Woodgrain Tumbler Part# is MHD135GY. Click here for more information on the stainless steel and wood grain tumbler. Click here for more information on the stainless steel and gray wood grain tumbler. 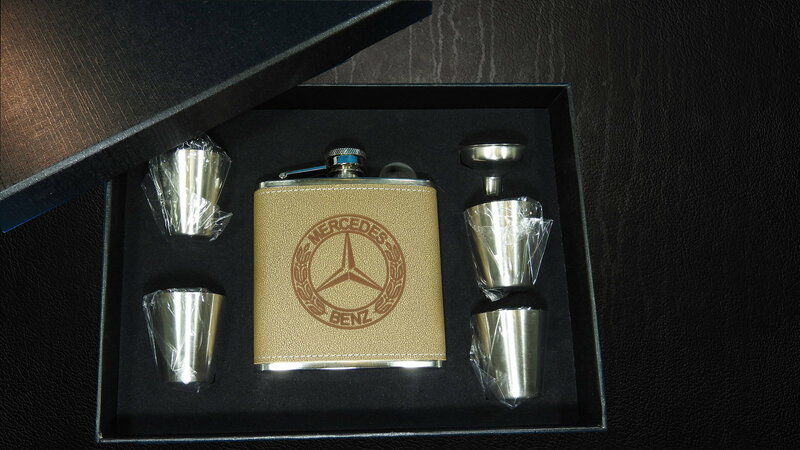 This listing is for 1 Leather-Wrapped Flask Deluxe Gift Set, laser engraved with iconic Mercedes-Benz Logo. This is a 6 oz. leather-wrapped flask which is laser engraved so the image will never fade or wear off. It comes with a funnel and 4 stainless steel shot glasses in a nice Black Gift Presentation Box. 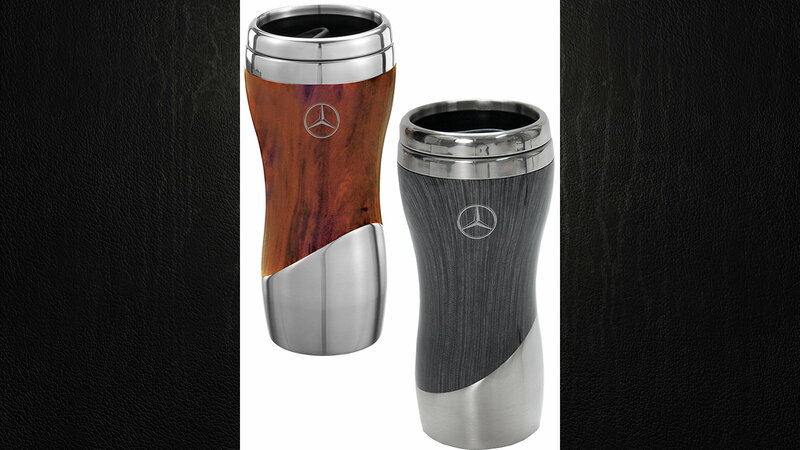 This would make an awesome gift for a fan of Mercedes-Benz who loves that occasional sip from the flask. Click here for more information on the leather flask gift set. 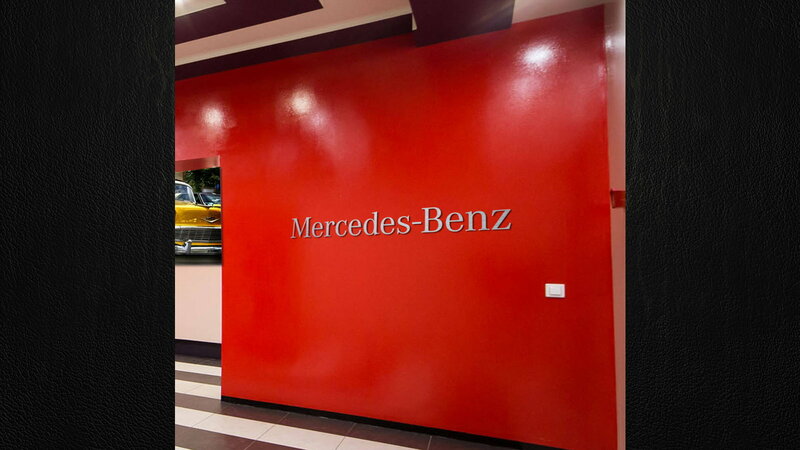 Mercedes Benz Letters Sign Garage Brushed Silver Aluminum Gift 6-8 Feet. The kit comes with a stencil for easy mounting. Click here to learn more about this gift.